Black Raiders pass yet another tough test with win over Dexter. 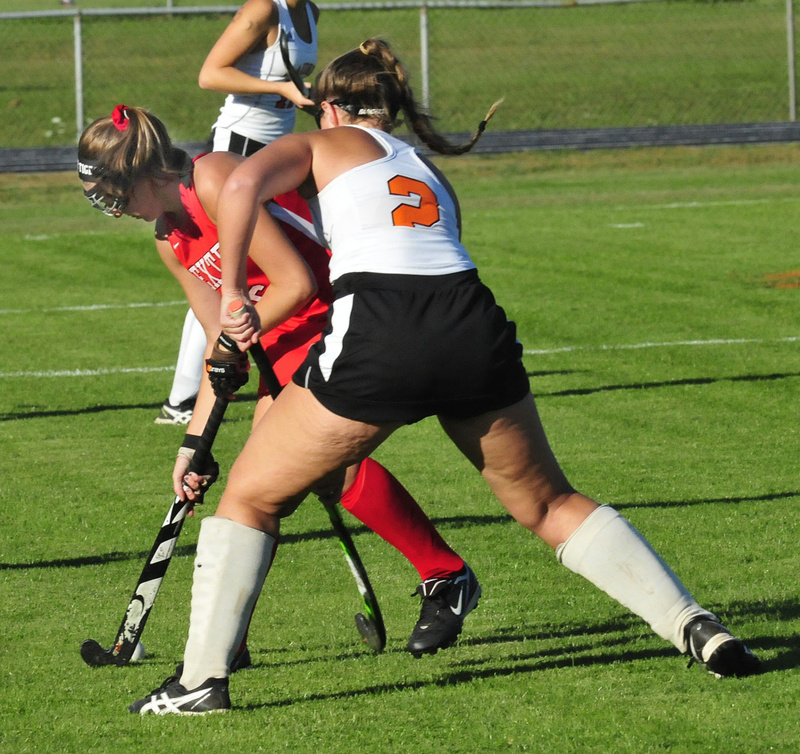 WINSLOW — Winslow field hockey coach Mary Beth Bourgoin was concerned about a possible letdown Monday as her Black Raiders faced a second unbeaten opponent in three days. She didn’t need to worry. 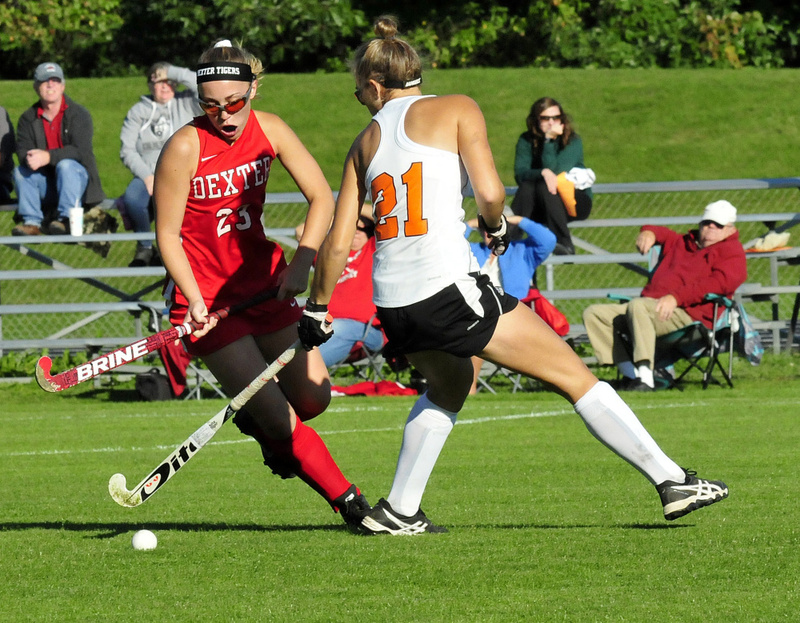 Winslow’s defense held Dexter to two shots while the offense applied pressure throughout the game en route to a 3-0 victory. The win left Winslow at 11-0 in Class B North while Dexter, which competes in Class C North, fell to 10-1. Saturday, the Raiders beat previously unbeaten Belfast 1-0 on the Lions’ home field in a well-played and intense game, Bourgoin said. Silver Clukey scored just over five minutes into the game when she knocked in a rebound off Anna Petrovic’s shot following a penalty corner. The scored stayed that way until the half, despite a 7-0 edge in shots for the Raiders. 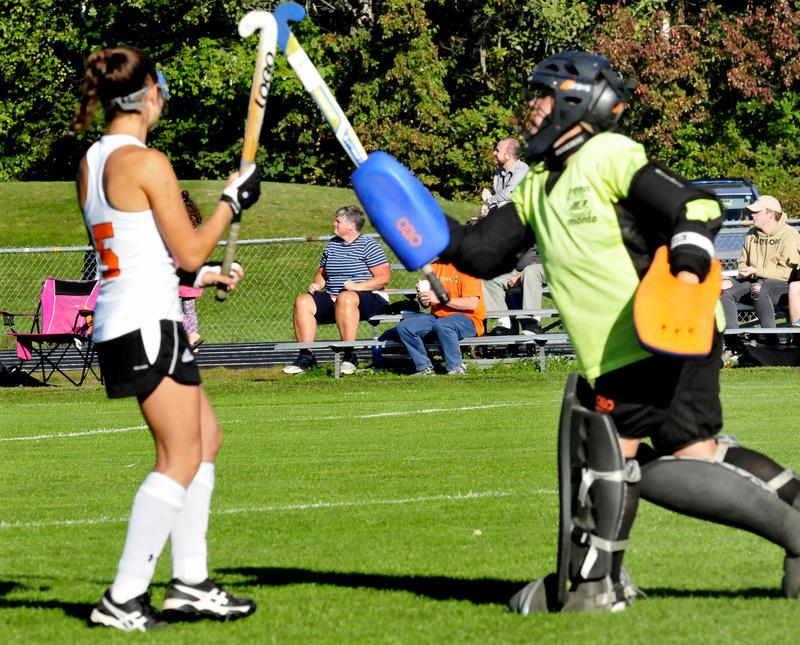 Goalie Amanda Haskell (nine saves) kept the score close with several strong saves. After winning several one-sided games this season. Dexter coach Margaret Veazie was happy to play a strong team. Senior Natalie Greene and Weslee Littlefield scored in the final 10 minutes of the second half to put the game away. Greene scored on a tough angle right-to-left shot following a penalty corner to make it 2-0. Greene wasn’t surprised her teammates put together impressive back-to-back victories. Littlefield scored on one of her typical hard shot from 15 yards out after taking a long crossing pass from Haley Ward. Littlefield was a force from her center mid position as was the entire defense of Ward, Greene and Maddie Roy — all seniors who crept up into the offense at every opportunity. Winslow, which plays Dexter again in the final game of the regular season, finished with 12 shots on goal and held a 15-4 advantage in penalty corners.